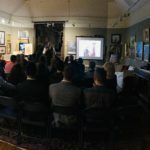 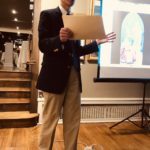 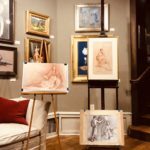 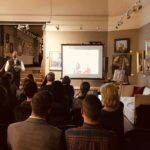 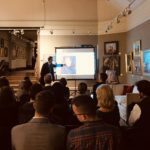 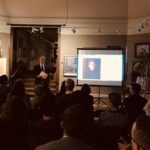 An exclusive after hours session at The Guild of Boston Artists to meet Master painter Paul Ingbretson, artist Henry Wingate and artist John Folley. 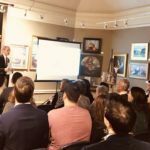 They presened on the technique, ideas and vision for the future of monumental figurative painting and the unique tradition of the Boston School. 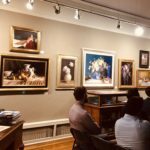 We enjoyed refreshments and wine while hearing about the show and presentation on the workshops of alumni of the Ingbretson school. 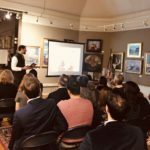 Additionally, we had the opportunity to see never before exhibited works in progress from these artists that give a glimpse into the revival of the Baroque tradition.